I am María del Rocío González Torres. I was born in Fernán-Núñez (Córdoba, Spain) in 1983. I studied English Philology at the University of Córdoba where I became passionate about literature and teaching methodology. I was awarded with a scholarship to work as a Spanish teaching assistant at Wellesley College in Boston, Massachusetts, United States. 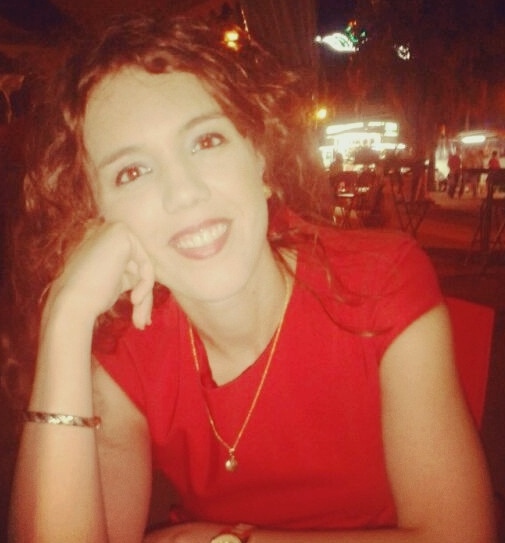 After this experience, I returned to Spain and I studied a Master’s Degree in English Studies, Multilingual and Intercultural Communication at the University of Málaga (Spain) where I am a PhD candidate with a research that focuses on Material Memory in Contemporary British Fiction about Ageing. My dissertation analyzes the important role of space and materiality in the construction and representation of ageing identities in several novels by Doris Lessing, Barbara Pym, Penelope Lively, Pat Barker, and Margaret Forster. I have presented several papers in these early years of doctoral research. My first conference was at the UNED in Madrid, Spain. It was entitled La Tercera Edad en su entorno Físico: The Diaries of a Good Neighbour in 2014. In 2015, I had the opportunity to present a paper at the University of Graz entitled Accumulative Memories in Contemporary Fiction about Ageing. I have recently been accepted to participate in the 13th Conference of the European Society for the Study of English (ESSE), in Galway (Ireland), with my paper Reinterpreting the past in later life through objects in the novel by Sarah Salway Getting the Picture (2010). I teach Gender Issues and Cross-Cultural Psychology to North American students at the Foundation of El Palo, University of Málaga. I am a member of the European Networking in Ageing Studies (ENAS) where I have the opportunity to keep updated with experts in the field of ageing that are enriching my dissertation.